Happy first day of fall. The weather has sure been showing sign of the new season. We had our first frost on the September 15th which sure seems a little early. The garden was mostly done anyway now it is just a matter of getting it ready for winter. Since this is the first year of my raised beds I'm going to try a new method. The goal of the raised beds is to not till the beds anymore and to disturb the soil as little as possible. So instead of pulling up all the spent tomatoes, beans and squash I am just going to cut them off at the ground and drop the plants in place on the raised bed. I will then cover everything with a good layer of compost. After dampening the earth well the beds will then get covered with a layer of clear plastic which will superheat the soil to kill any weed seeds that may be in the soil. Besides getting the garden ready for winter we have to finish getting our wood in for the winter. The woodshed is nearly full but it is nice to have it overflowing. We ran a little short this last winter since it was a really cold one. Besides the hardwood for good heat making we also split a good amount of cedar for kindling. The barn got its fall cleaning this last weekend adding a good amount of bulk to the compost piles that we regularly turn and rotate. Next month the pigs will go to butcher with the turkeys following just before Thanksgiving leaving only the laying hens to keep through the winter. Oh yes, we also have the bees to get through the winter. There is some preparation to get their hive buttoned up for winter. 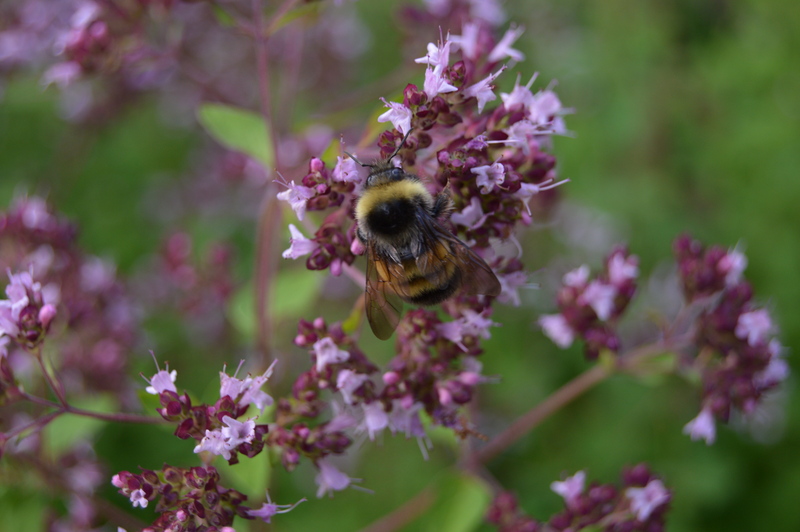 Since this is our first winter with the bees our goal is just to get them through winter alive. We have been feeding them so they can put away a lot of honey for winter food. Their hive will also get wrapped in tar paper to help keep the wind chill out. 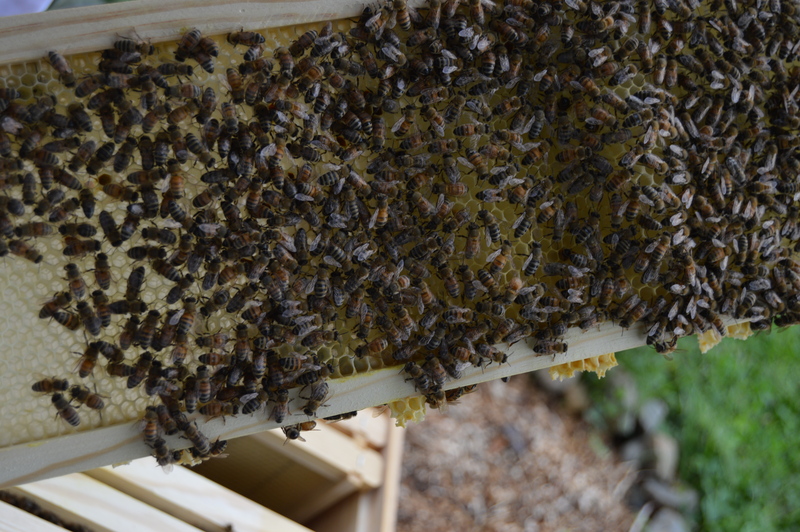 Moisture can also be an issue so a way to soak up the moisture so that it does not freeze in the hive is also important. Our apple trees are not yet producing so it will be off to the apple orchard to get a couple bushels to make applesauce and to dry to use is many different recipes. This is a busy but wonderful time of the year. With cooler weather comes soups, baking bread and hot spiced cider. Enjoy!! I am here to tell you that if something has been pulling at you to put a little, or even a lot, by for a rainy day you are not alone. I was raised with a preparedness lifestyle but is wasn't called that back then. My mom didn't work outside the home and my dad didn't make a huge amount of money so when something went on sale my mother stocked up on enough to last the family until the next time that item went on sale. Today this kind of practicality is called the "prepper movement" and sometimes folks that feel they should be prepared for changes in their lives are thought of as being a bit strange. Well, we are not and I think the movement is getting to be more mainstream by the minute. There are various factors leading to this. You only need to turn on the TV or radio and listen to what is happening around the world with disasters, the economy and the declining quality of our food to know that things are changing fast and probably not for the better. I don't want to get political here, that is not my focus. I just want more folks to see that being prepared for these changes is a practical thing. That doesn't mean that you should go out tomorrow and buy two dozen cases of MREs (meals ready to eat) and store them in the bunker that you are building. Now if you live in tornado alley a bunker might fall into the practical category but you know what I mean. Becoming "prepared" is not something that happens overnight unless you just won the lottery. Most of us have to take it slow, buying a few extra canned goods each week as we build up our pantry. Keeping a eye out in the local bargain hunter or Craig's List to find a generator or a pressure canner or any number of things that are considered prepper items for a price we can afford. The funny thing is that it is far more practical to buy things that you would probably use occasionally even if there wasn't an emergency. A portable generator comes in really handy if you go camping or need to use power tools away from the reach of a grid tied outlet. We use our food stores everyday when we eat and it is replaced the next time we go shopping. I pressure can the vegetables from my garden every year. Don't get carried away, make a plan, make a list, revise the list, take baby steps. Taking baby steps is a good way to move into anything new. Make sure you talk to your family about getting prepared and hopefully they will be on board too. If not it is a little harder but when something happens and what you have stored or put away for just such a need saves the day you may well get a few converts. Just don't say "I told you so", they already know that! !